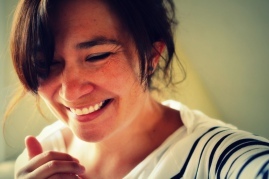 Felicia Zamora is the author of the books Of Form & Gather, winner of the 2016 Andrés Montoya Poetry Prize (University of Notre Dame Press 2017), & in Open, Marvel (Parlor Press 2017), and Instrument of Gaps (Slope Editions 2018). Of Form & Gather was listed as one of the “9 Outstanding Latino Books Recently Published by Independent and University Presses” by NBC News. She won the 2015 Tomaž Šalamun Prize from Verse, authored two chapbooks, and was the 2017 Poet Laureate for Fort Collins, CO. Her published works may be found or forthcoming in Alaska Quarterly Review, Beloit Poetry Review, Columbia Poetry Review, Crazyhorse, Denver Quarterly, Green Mountain Review, Hotel Amerika, Indiana Review, jubilat, Lana Turner, Meridian, Notre Dame Review, North American Review, OmniVerse, Pleiades, Poetry Daily, Poetry Northwest, Prairie Schooner, Puerto del Sol, Raleigh Review, Sugar House Review, Tarpaulin Sky Magazine, The Adirondack Review, The Cincinnati Review, The Georgia Review, The Michigan Quarterly, TriQuarterly Review, Tupelo Quarterly, Verse Daily, Witness Magazine, West Branch, and others. She is an associate poetry editor for the Colorado Review, holds an MFA in Creative Writing from Colorado State University, and is the Education Programs Coordinator for the Virginia G. Piper Center for Creative Writing at Arizona State University. She lives in Phoenix, AZ with her partner Chris and their two dogs. NBC News lists Of Form & Gather one of "9 Outstanding Latino Books Recently Published by Independent and University Presses"